90% OF GETTING KIDS READY FOR SCHOOL IN THE MORNING IS YELLI - ProudMummy.com the Web's Community for Mums. 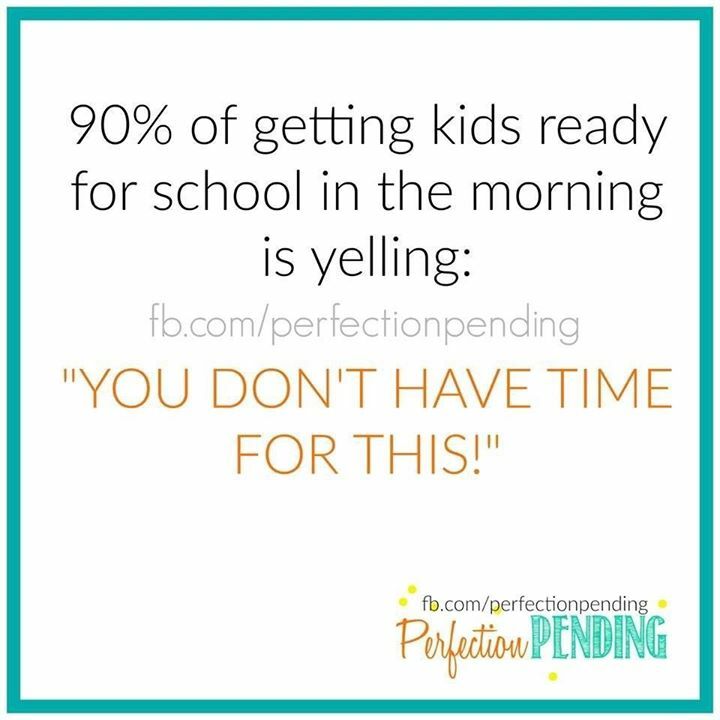 90% OF GETTING KIDS READY FOR SCHOOL IN THE MORNING IS YELLING: "YOU DON'T HAVE TIME FOR THIS!" So true and very frustrating!